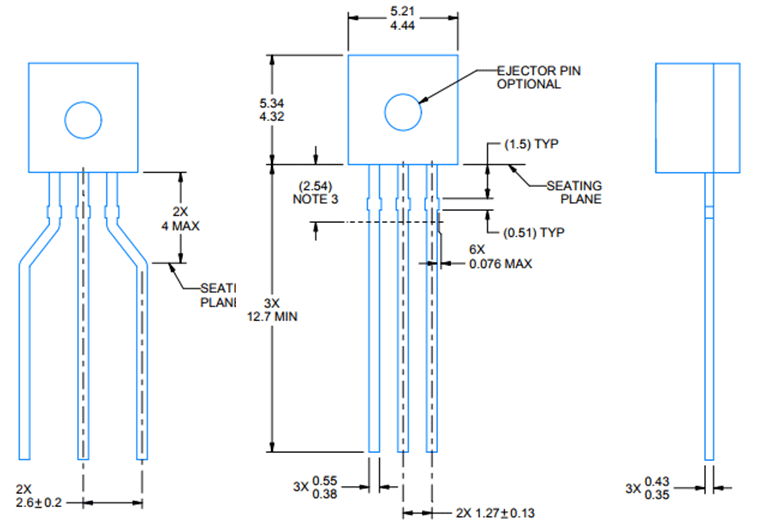 Minimum and Maximum Input Voltage is 35V and -2V respectively. Typically 5V. Output voltage is directly proportional (Linear) to temperature (i.e.) there will be a rise of 10mV (0.01V) for every 1°C rise in temperature. 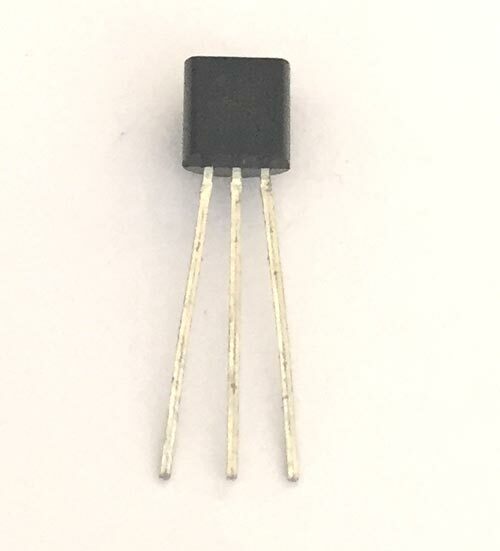 LM35 is a precession Integrated circuit Temperature sensor, whose output voltage varies, based on the temperature around it. It is a small and cheap IC which can be used to measure temperature anywhere between -55°C to 150°C. It can easily be interfaced with any Microcontroller that has ADC function or any development platform like Arduino. 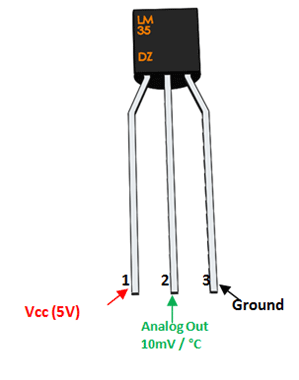 Power the IC by applying a regulated voltage like +5V (VS) to the input pin and connected the ground pin to the ground of the circuit. Now, you can measure the temperate in form of voltage as shown below. If the temperature is 0°C, then the output voltage will also be 0V. There will be rise of 0.01V (10mV) for every degree Celsius rise in temperature. The voltage can converted into temperature using the below formulae. Measuring Temperatures for HVAC applications.